The tortilla brings southwestern cuisine into the MRE scene. 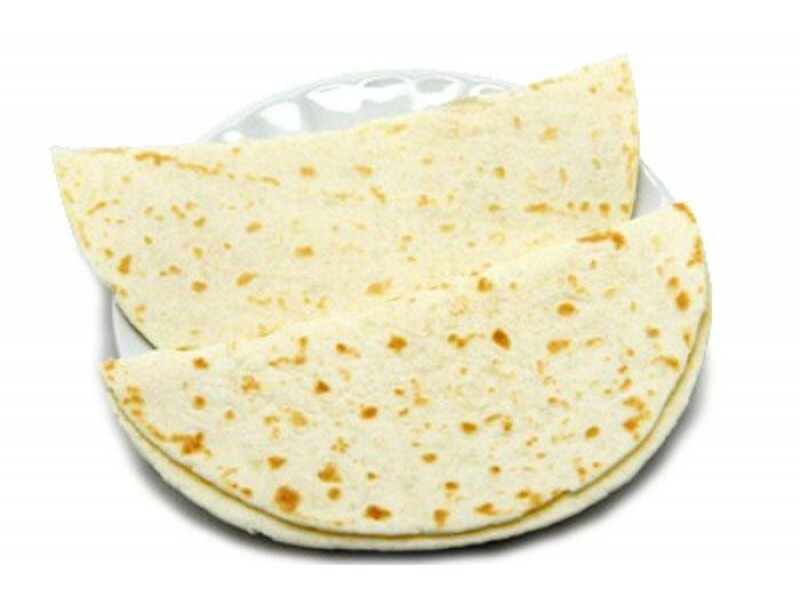 Made of wheat flour, tortillas are great for making wraps. 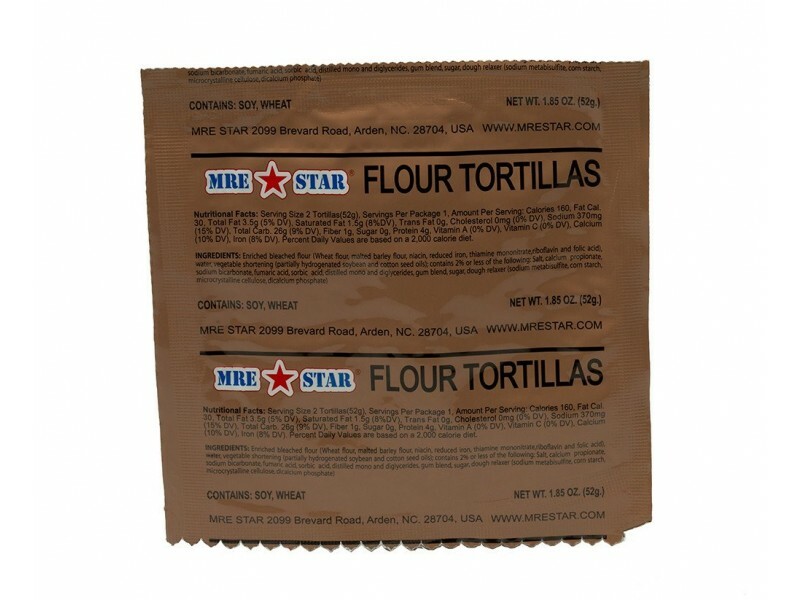 MRE Star tortillas come in packs of 2 and are great for adding a different flavor to your meals. With a shelf life of three to five years, these star tortillas will keep in your pantry or your emergency food stores. 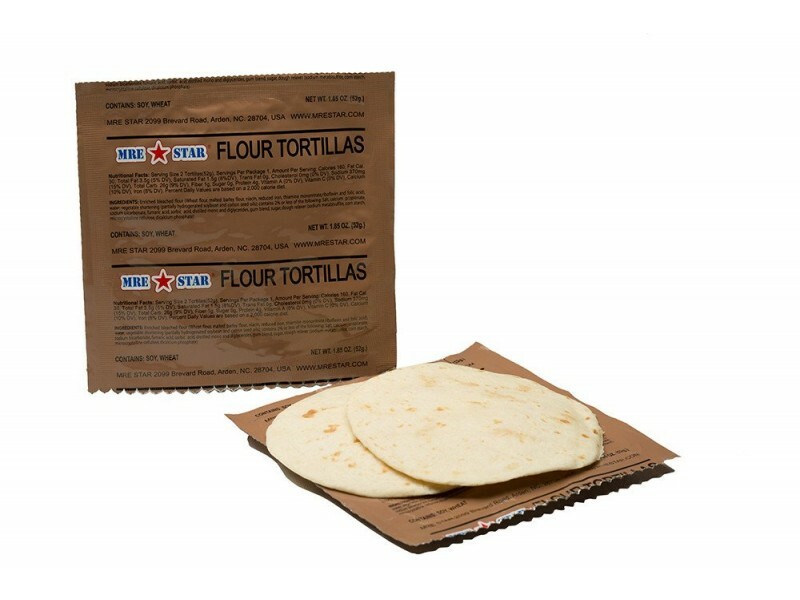 The tortilla brings southwestern cuisine into the MRE scene. Made of wheat flour, tortillas are great for making wraps. 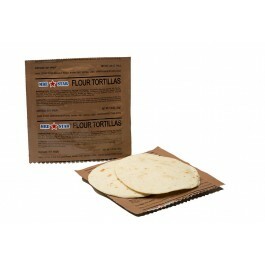 MRE Star tortillas come in packs of 2 and are great for adding a different flavor to your meals. With a shelf life of three to five years, these star tortillas will keep in your pantry or your emergency food stores. These will make an ideal part of your meal plan if you have a recipe for tortillas when you are out camping, hiking, picnicking, fishing or even rafting. There is no need to worry about weight because they are very light weight. The tortillas are only 140 calories and contain vitamins, minerals, protein, carbohydrates and dietary fiber. These tortillas come in a package of 2 tortillas made of wheat flour. Each package feeds one. You can have them for dinner and you can be sure that each one will be full once they are done. They make a recipe for great gluten free bread recipe. You can serve these at your dinner table, or you can make them part of your meal plan when you are out having some outdoor adventures with your family. They make a great meal item when you are working on a recipe for flour tortillas that includes tacos or fajitas.